It's time to upgrade your shoe racks! 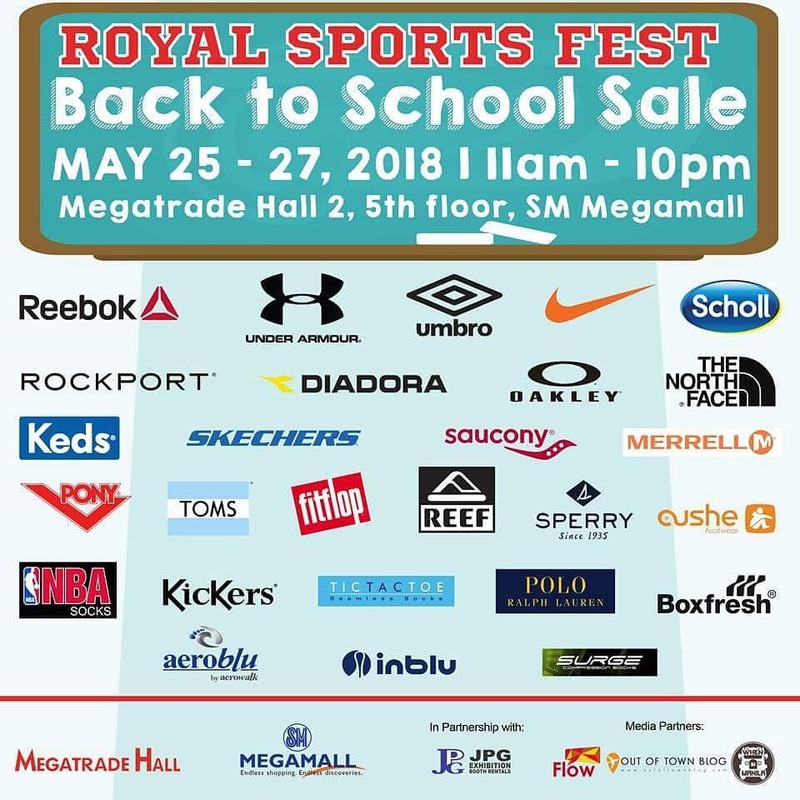 Grab new kicks & school shoes at up to 80% off at The Royal SportsFest Back-to-School Sale happening on May 25-27, 2018 at the Megatrade Hall 2, 5th level, SM Megamall from 11am to 10pm. 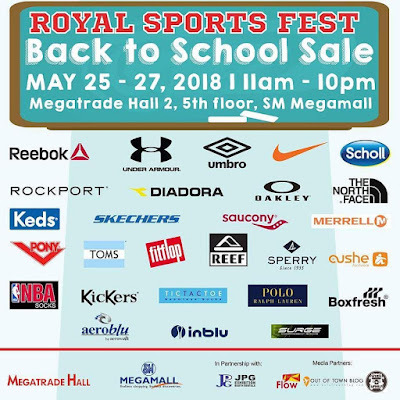 Participating brands: Nike, Reebok, Under Armour, Rockport, Diadora, Reebok, Keds, Sperry, The North Face, Saucony, Merrell, Fitflop, Kickers, Toms, and many more!